Make: Live airs tonight! 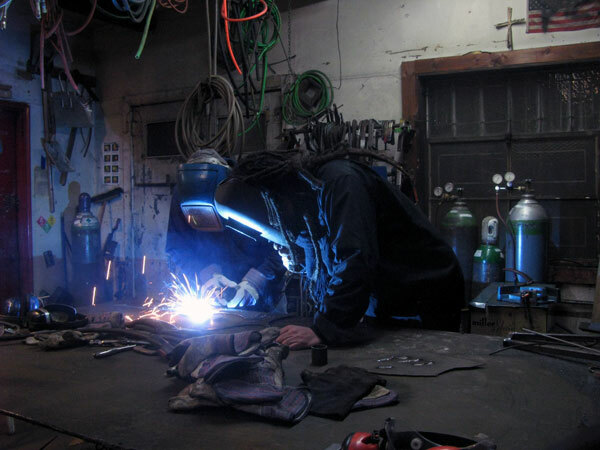 Ep14 is all about metalworking. Bring your burning questions about all things metal. And Becky will show you how she cuts and solders silver jewelry like her Firefox pendant and ASCII heart necklace. This show we’re going to experiment with taking questions live in a Google+ hangout, so come curious! Since accounts on G+ are for individuals only right now, look for a public hangout at showtimewe on Becky’s page. Be sure to mute the show audio when you’re in the hangout. And with the new UStream iOS app, you can watch Make: Live on your iPad or iPhone. Other apps are also available for Android, Windows Phone, and streaming players like Google TV and Boxee.